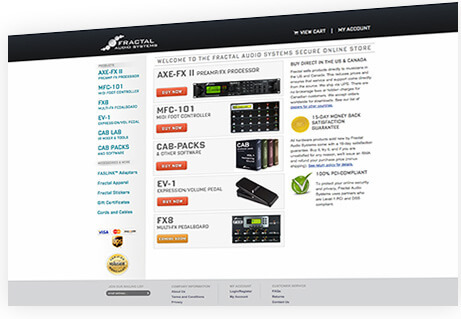 Fractal Audio Systems Cab-Packs, Cab-Lab, MFC-Edit and all other downloadable products can be ordered in our online store from anywhere in the world. We accept Visa, Mastercard and Discover (sorry, NO PayPal or wire transfers.) To order the Axe-Fx II or other physical products outside of the USA or Canada, please see the list of international dealers below. If you live in a region for which there is no dealer, your best option may be to have a friend order for you. You can also use a package forwarding service to transfer your order from the nearest dealer to your address.